Glenview Park is an exclusive neighborhood located near the prestigious city of Glenview, Kentucky. Lots starting in the $150,000s from .26 acres up to 2+ acres. Glenview Park is an exclusive neighborhood located near the city of Glenview, Kentucky. It is comprised of 42 lots in three sections with sizes ranging from ¼ acre to over 1 acre. Wonderful location provides convenient access to downtown, hospitals, shopping and great schools. This signature community features the finest architecturally designed homes built by some of Louisville’s best custom home builders. 1-story: minimum of 2,500 sq. ft.
1.5-story: minimum of 2,750 sq. ft.
2-story: minimum of 2,800 sq. ft.
1-story: minimum of 3,000 sq. ft.
1.5-story: minimum of 3,500 sq. ft.
1.5-story: minimum of 4,000 sq. ft.
1-story: minimum of 4,000 sq. ft.
1.5-story: minimum of 4,400 sq. ft.
2-story: minimum of 4,600 sq. ft.
1-story: minimum of 4,100 sq. ft.
1.5-story: minimum of 4,500 sq. ft.
2-story: minimum of 4,700 sq. ft. 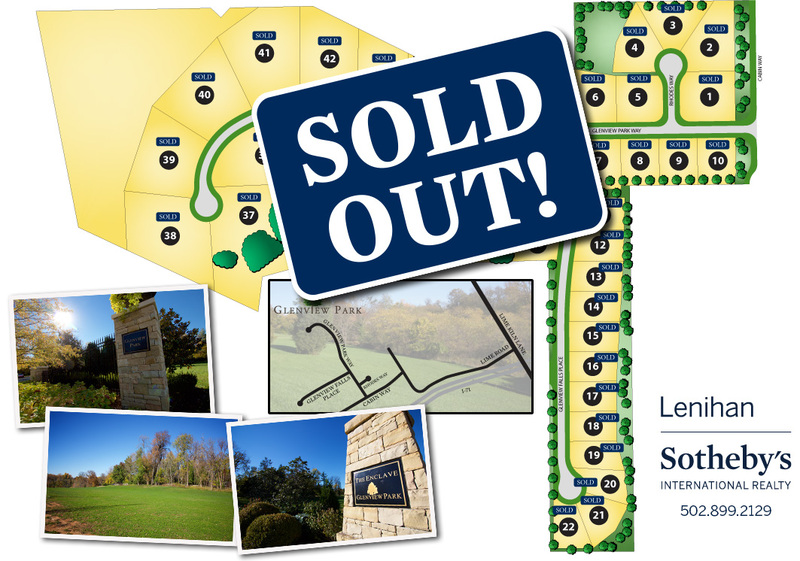 Contact Jon Mand of Lenihan | Sotheby's International Realty at 502.417.2837 to get more info about Glenview Park. Glenview Park Lots for Sale in Glenview, KY © 2019. All Rights Reserved.